This is a ‘hidden’ message. Within the mosaic it says Jim 75, and was made for Jim, when he was 75. (I didn’t really need to explain that did I.) It could have blatantly just been a design made from the name Jim and numbers 7 and 5, but I figured that something that looked like gentle rolling hills etc., in greens would be easier on the eye and better for the owner to use without drawing too much attention to Jim’s name, or age – if you see what I mean, but still be a nice reminder of his special birthday. I hope that’s clear. 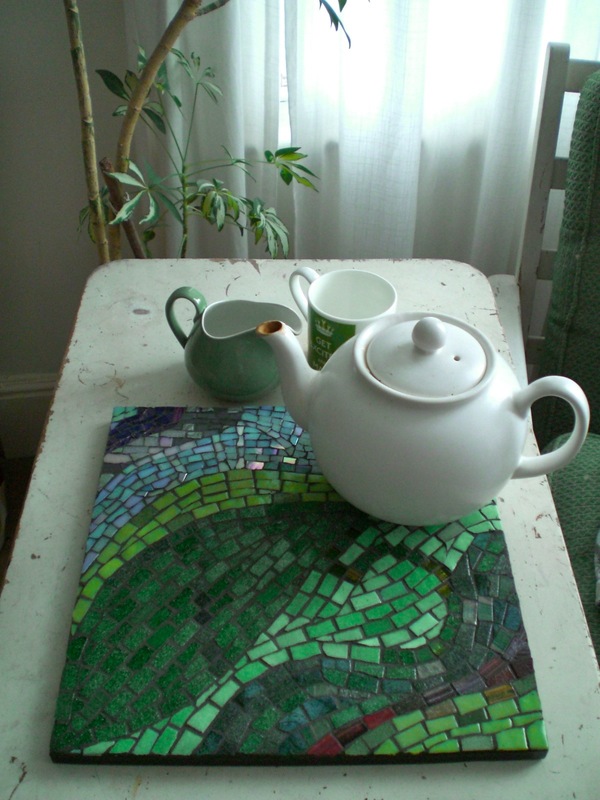 So the point I’m trying to make is, hidden messages, more hidden than this even, can be employed in a mosaic. 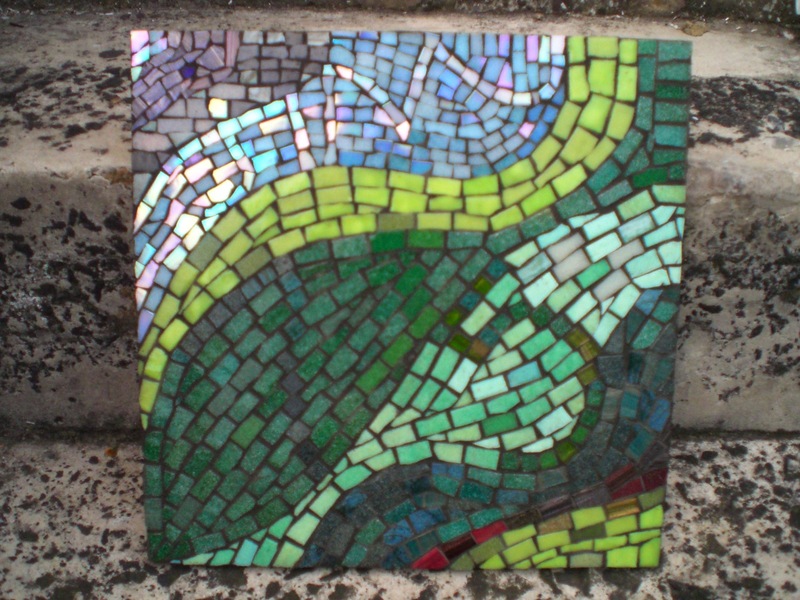 The mosaic is 1 x 1 foot (33cm x 33cm).